Product and ordering information for Mucasol® Universal Detergent. Universal cleaner for laboratory equipment and instruments - glass, porcelain, plastic, rubber and metal. Non-toxic, non-aggressive, and biodegradable. 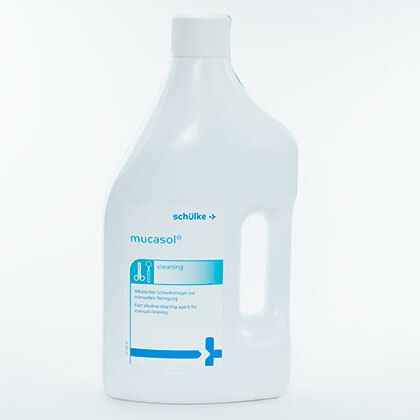 A liquid, alkaline, high-performance concentrate for immersion and ultrasonic baths, Mucasol® is a universal cleaner for laboratory equipment and instruments made of glass, porcelain, plastic, rubber and metal. Items are cleaned in ~10-30 minutes, without mechanical help. Mucasol® replaces chromosulfuric acid, is free from chlorine and caustic alkalis, is non-toxic, non-aggressive, and biodegradable.